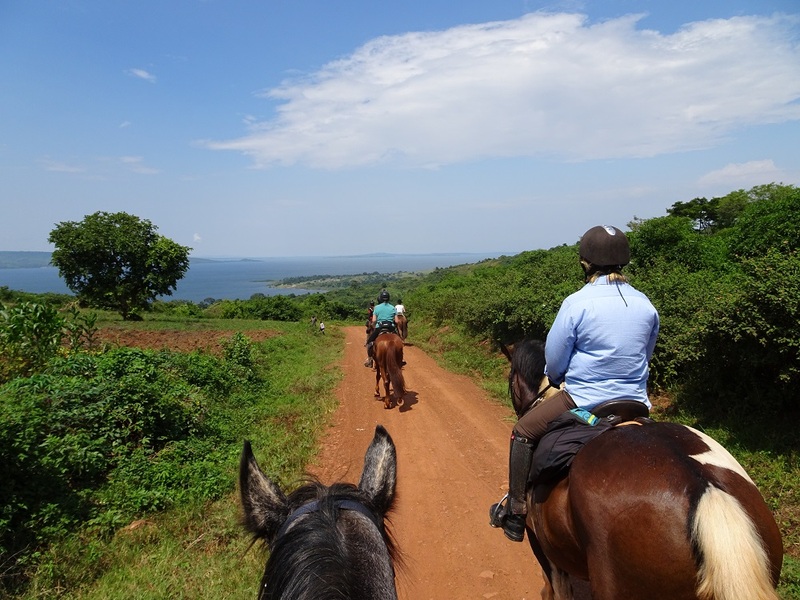 This adventure starts in Jinja and heads north from Lake Victoria exploring, from horseback, the banks of the Nile and rural Uganda. 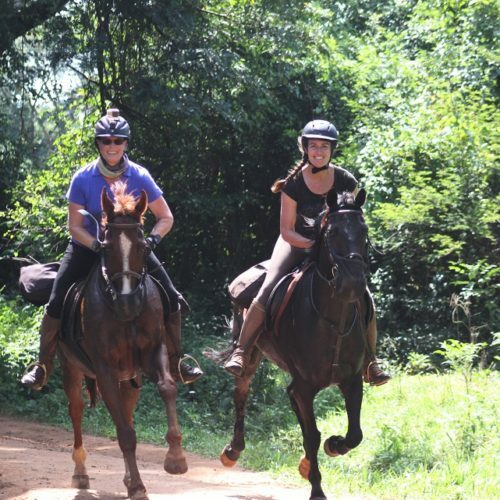 Experience views from the hills overlooking the Nile valley with canters through the plantations and surrounding Mabira rainforest. 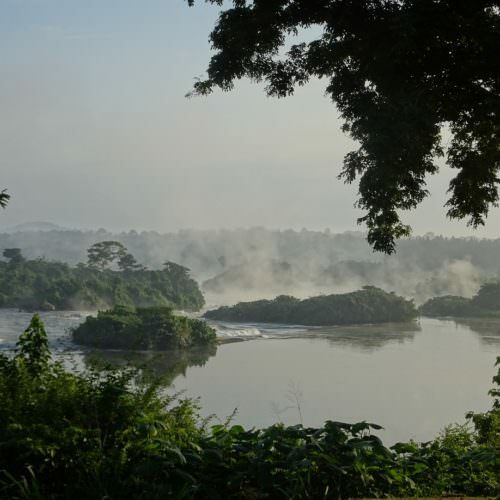 The forests are home to a number of species of primates including the rare Grey cheeked Mangabeys, although these aren’t very easy to see. 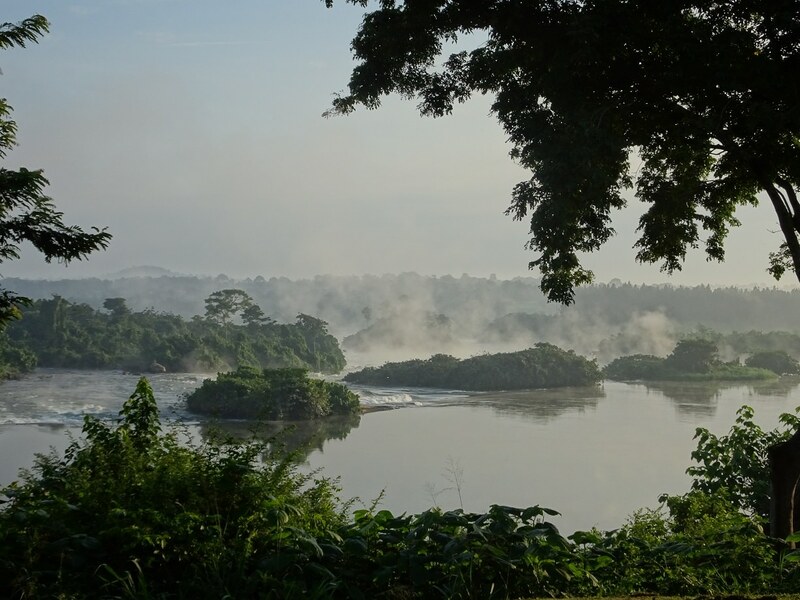 During the trail you stay overnight at very comfortable lodges and finish with one night at the fantastic Wild Waters Lodge which is located on an island in the middle of the Nile surrounded by white water. 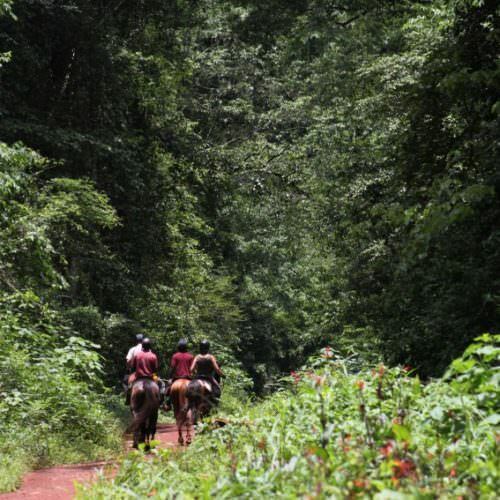 After the ride there is an optional three night (or longer) extension to fly west to Bwindi Impenetrable Forest home to one of the few remaining populations of Mountain Gorilla. 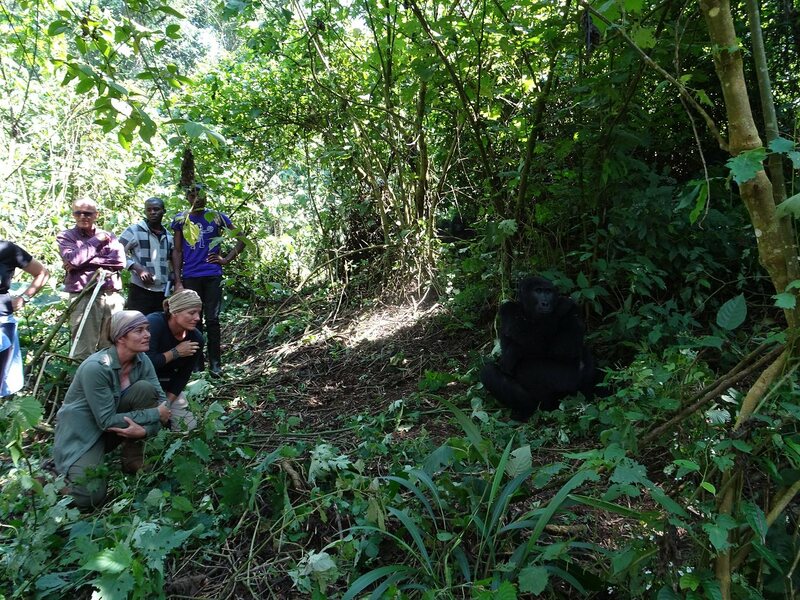 The trek to the gorillas is long and arduous but the effort is rewarded by spending time observing them closely while they eat play and rest. 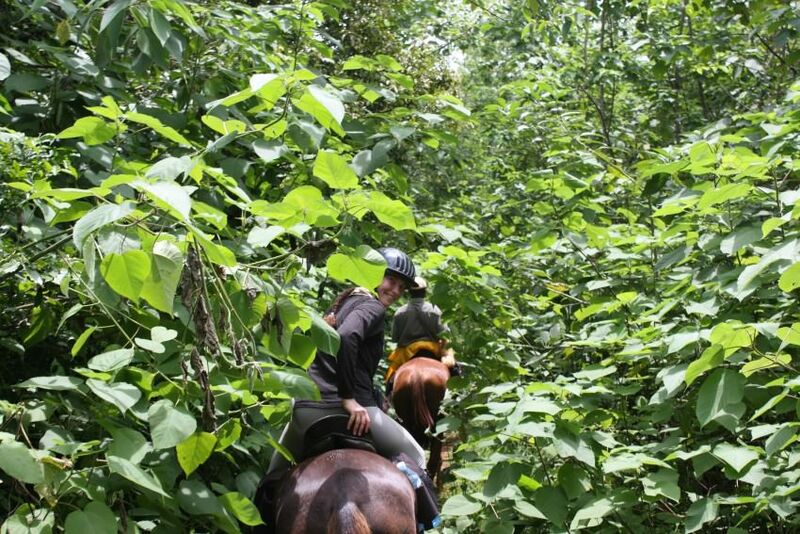 A unique and unforgettable experience. 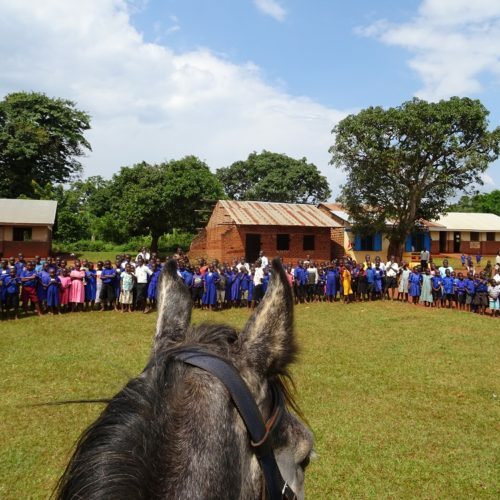 The horses are a mixture of thoroughbreds, Irish sports horses and local breeds. They are well trained and fit for their job. 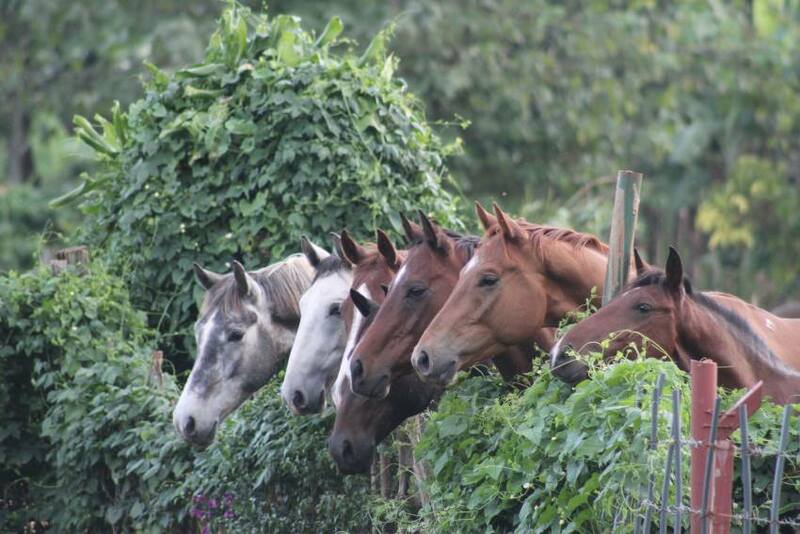 They range in height from 14hh to 17hh. 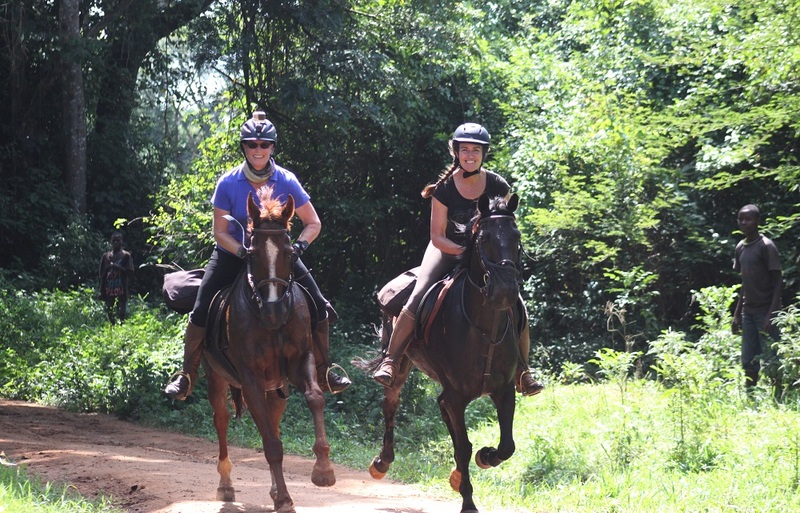 During the week you will normally ride two horses as the horses are switched in and out from the safari. 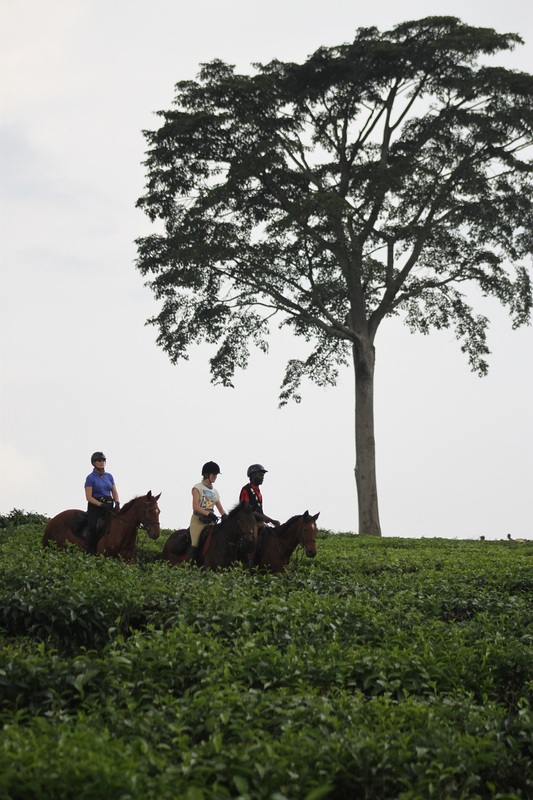 The horses are ridden in English saddles. 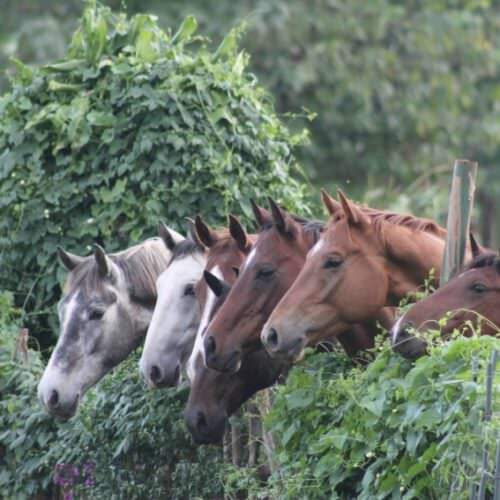 At certain times of the year the horses use grazing muzzles to minimize damage to crops. 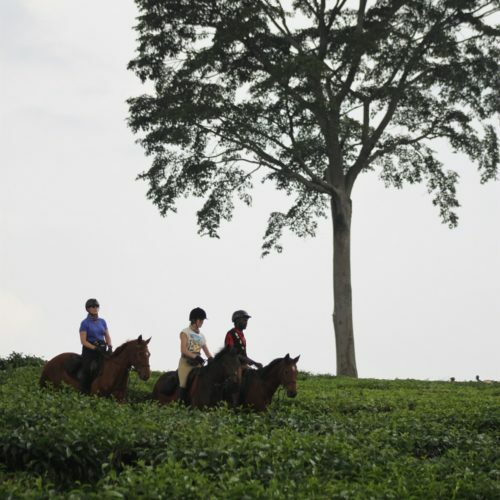 You should be a confident rider comfortable at all paces and able to control your horse at walk trot and canter in open countryside. 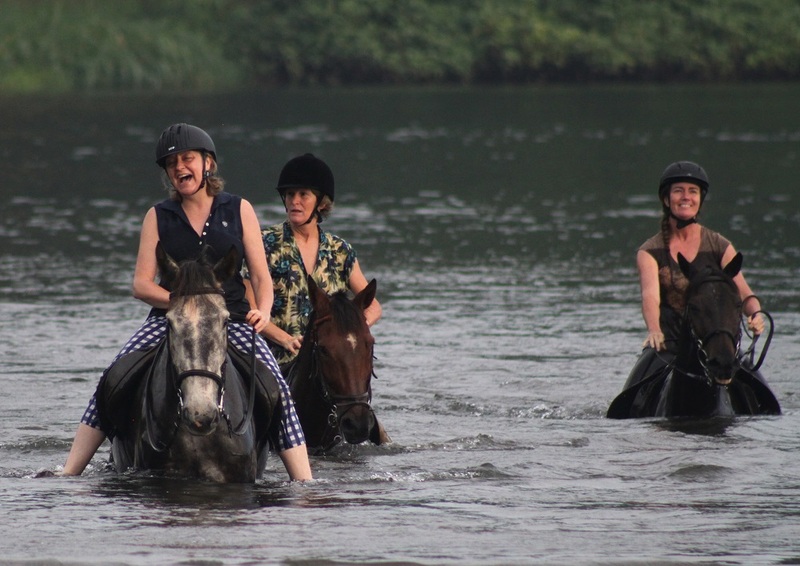 Much of the ride is at a walk but there are also many opportunities for trots and canters on sandy tracks (and depending on ground conditions occasional gallops for those who are capable and wish to). 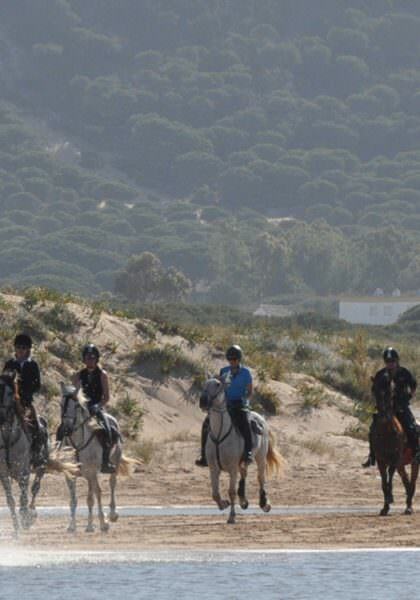 It is possible for the group to temporarily separate at certain points so that those who wish to go faster may do so. 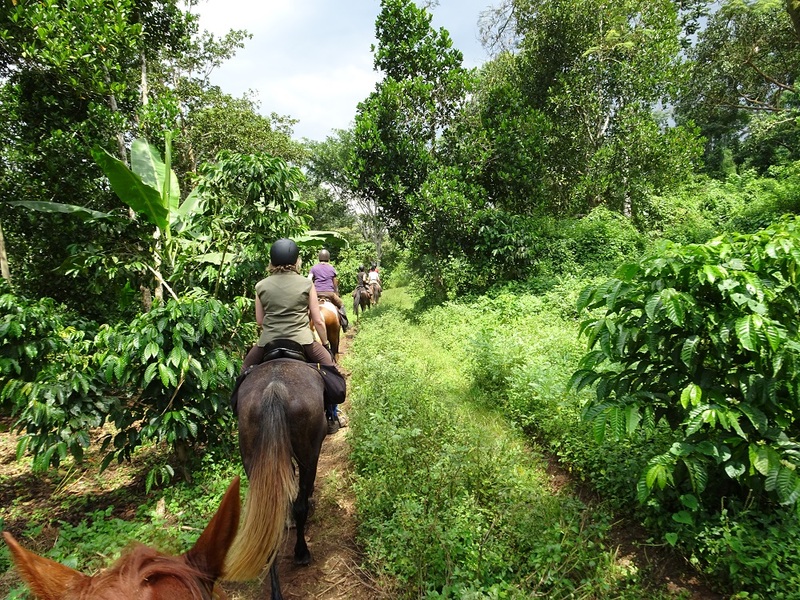 It is also normally possible to join the group mid-way through the morning or leave early if you wish to do less riding on a particular day. 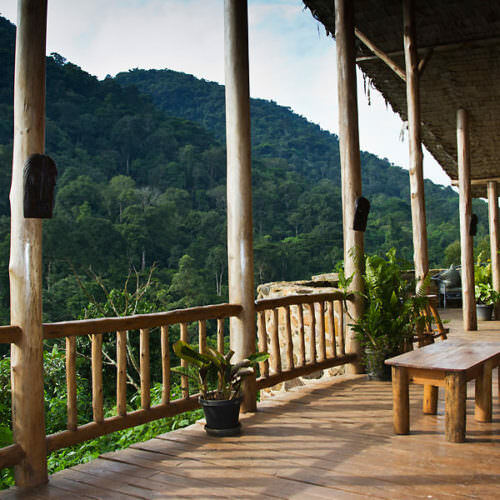 The accommodation on the trip is a highlight and you stay in some beautiful lodges in stunning settings. 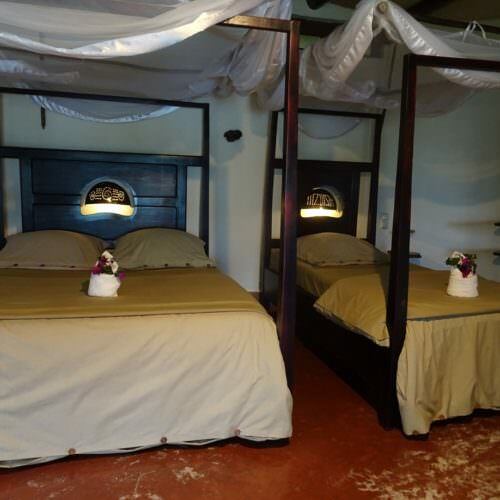 Please note that if you are booked to have a twin room then it is possible that this might be one double bed and one single bed. There is no single supplement if you are willing to share and we find you a sharer. 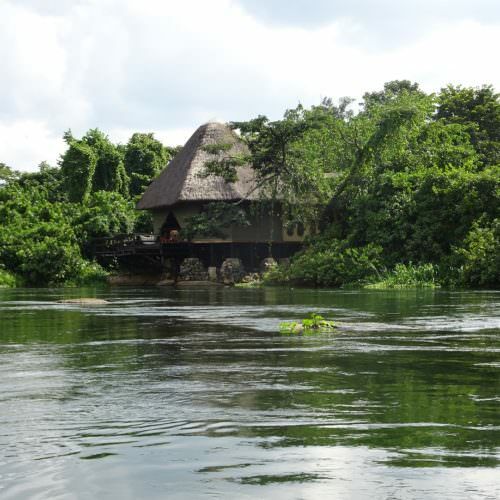 During the trail you normally stay two nights at each of three comfortable lodges and end with one night at the beautiful Wild Waters Lodge located on a island in the middle of the Nile and surrounded by white water. 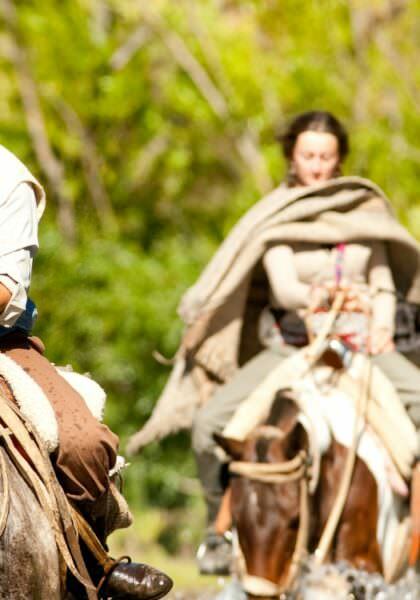 Occasionally local conditions may mean that we have to substitute different accommodation. 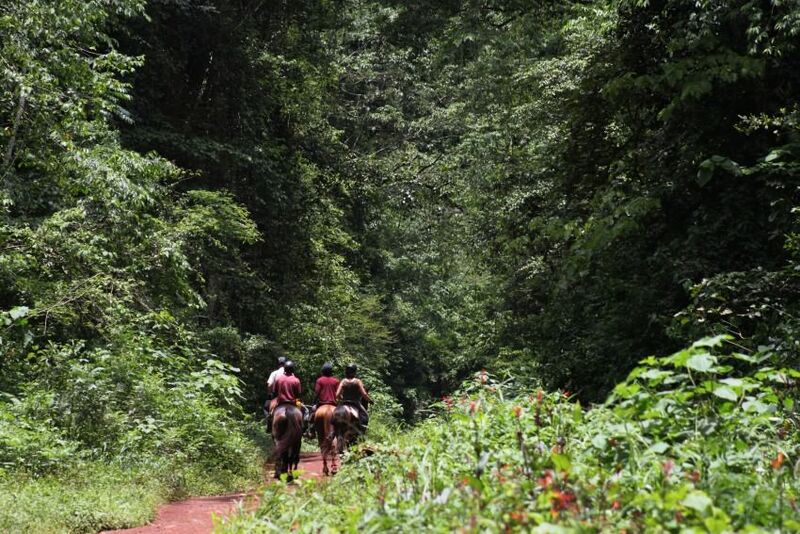 Holland Park is a few miles north of Jinja and is within walking distance of the horse's stables. 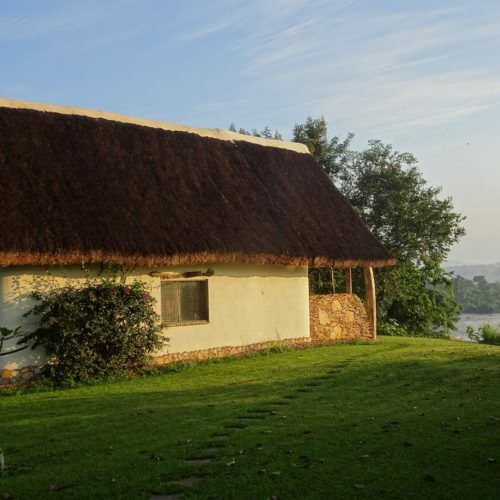 The spacious guest cottages are set in gardens on the west bank of the Nile and overlooking the river. The hotel has a small swimming pool. 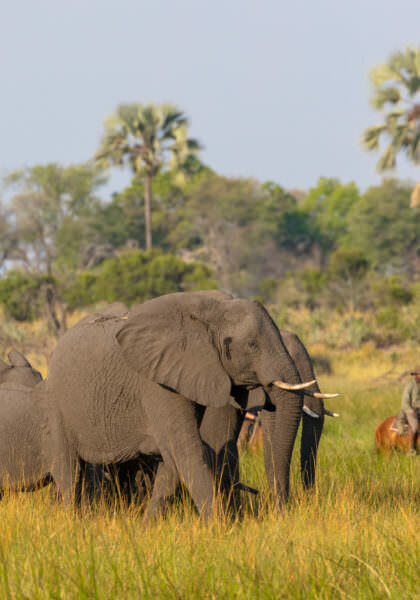 There is abundant birdlife as well as vervet monkeys in the surrounding trees. 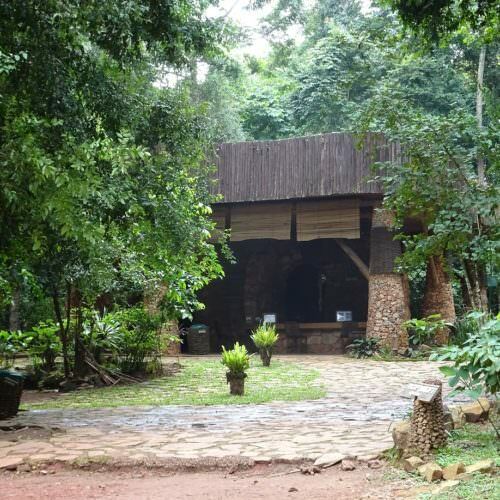 This interesting lodge is set on a hill in the Mabira Forest Reserve. 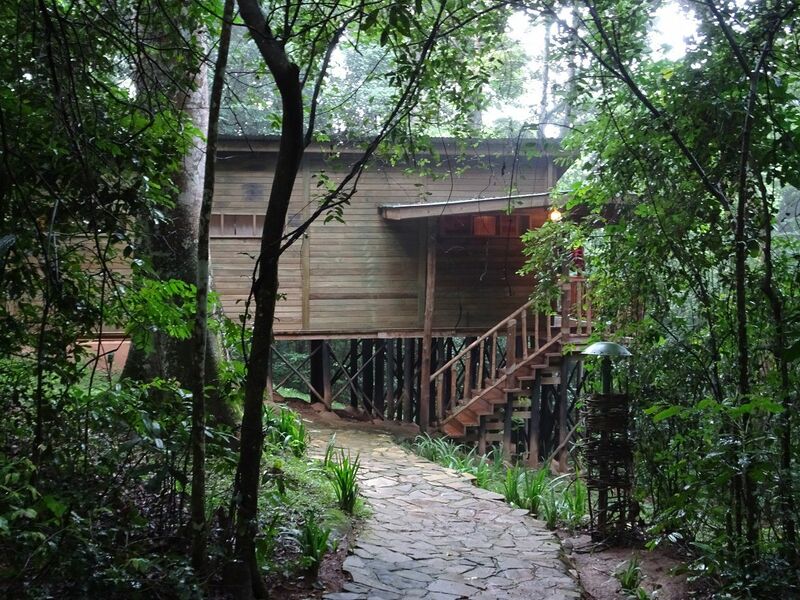 There are twelve individual en-suite cabins well spaced through the forest and connected by walkways. 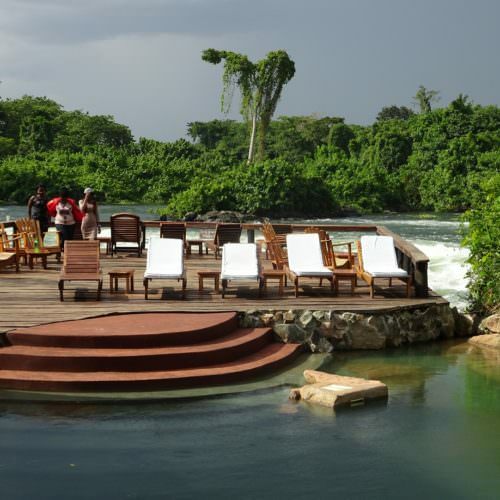 There is a bar and central dining lodge as well as a swimming pool. 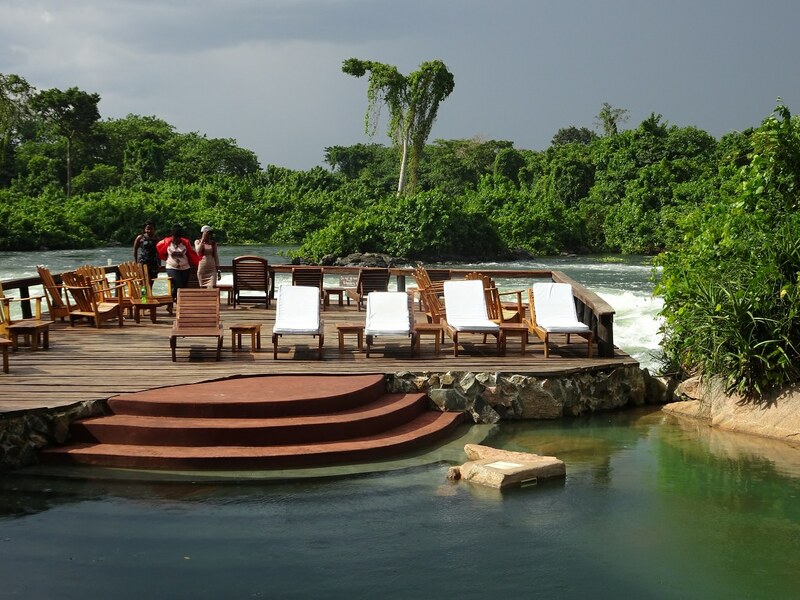 The Haven is on a beautiful spot on the banks of the Nile. 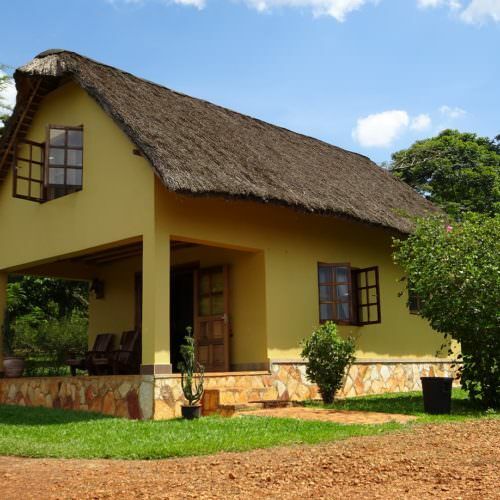 The spacious bungalows have private terrraces overlooking the rapids and there is a central restaurant and swimming pool. 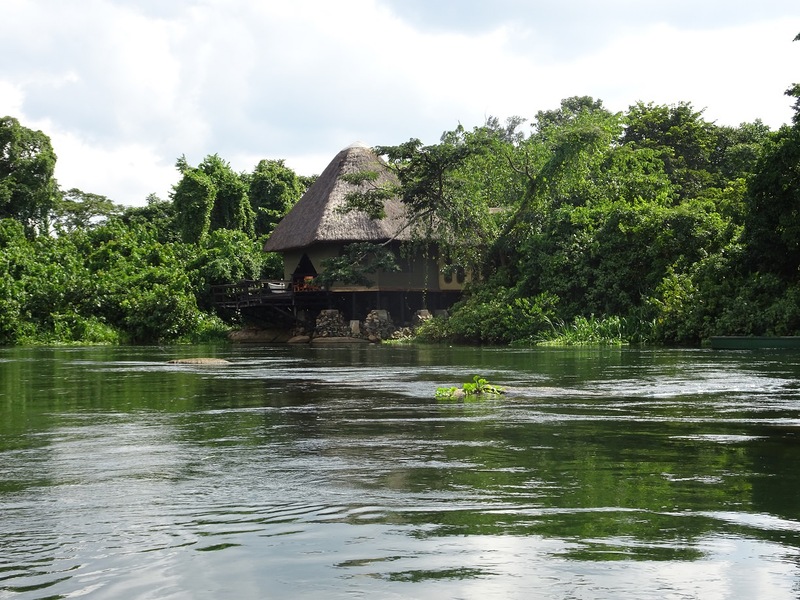 Of all the lodges you stay at on this ride, Wild Waters has the most impressive location - on an island in the middle of the Nile. 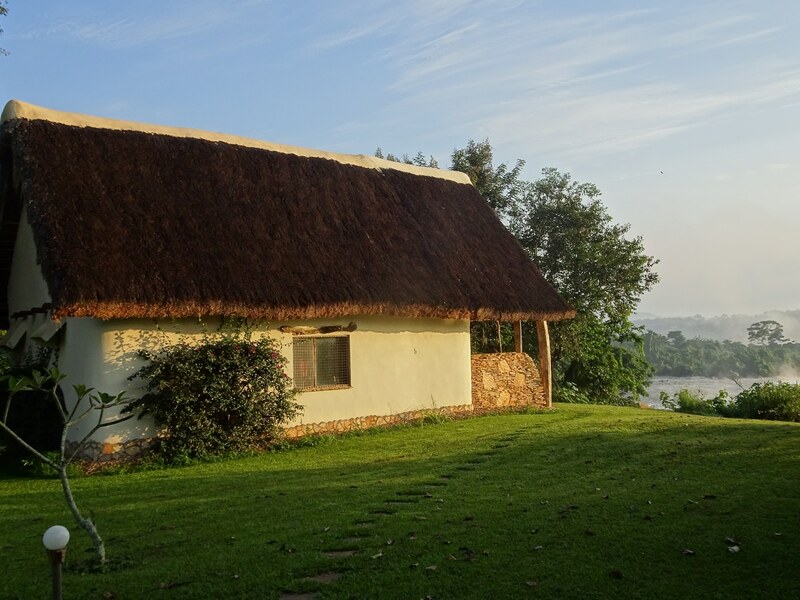 There are ten en-suite canvas and thatch rooms each with their own private view of the Nile. 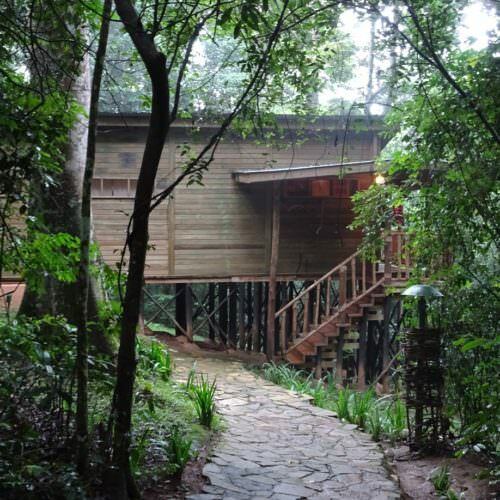 The rooms are linked by wooden walkways to the central dining area. 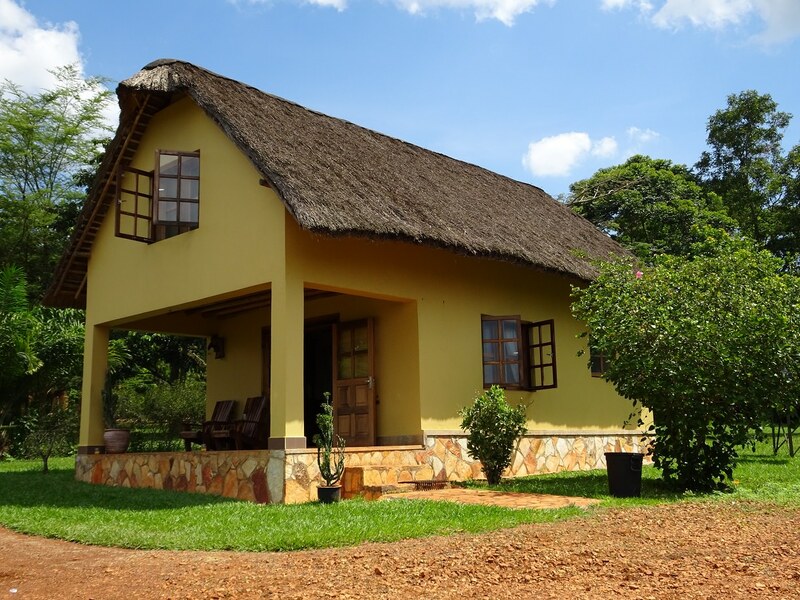 At Bwindi we use one of two alternative lodges (Engagi Lodge or Haven Lodge) which are located near to each other in the village of Buhoma which borders Bwindi Impenetrable Forest National Park. 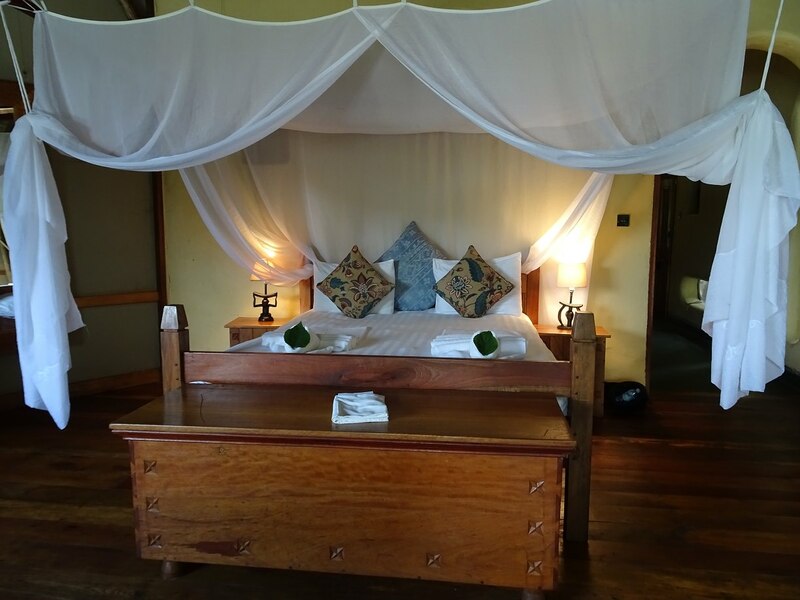 Engagi Lodge has eight cottages each with double or twin beds, en-suite bathroom and a private terrace with beautiful views of the forest and surrounding land. 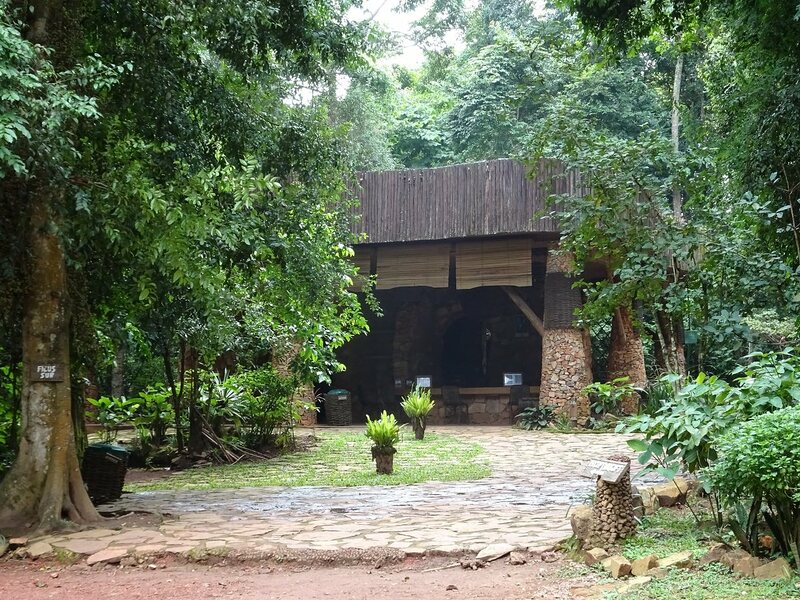 The main lodge has a dining room and bar. 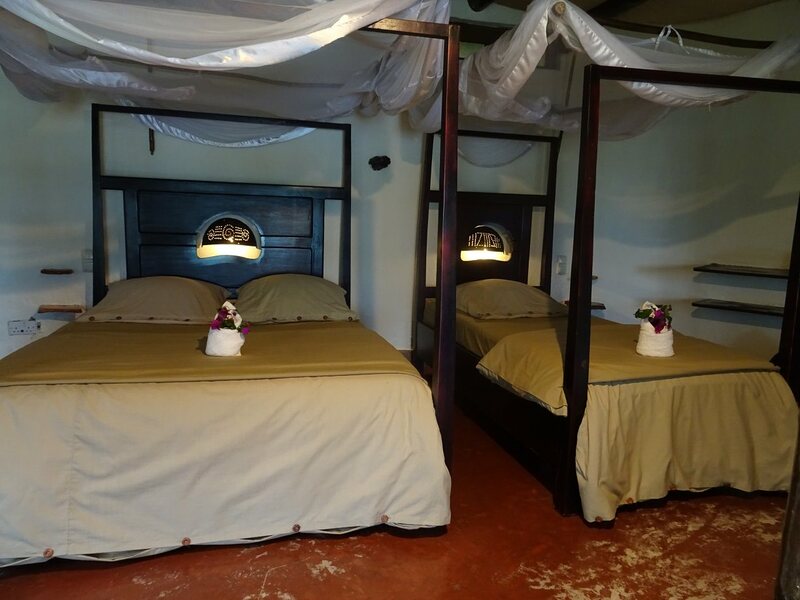 The Buhoma Community Haven Lodge opened in December 2014 and is situated above Buhoma village, a 5 minute drive from the main road. 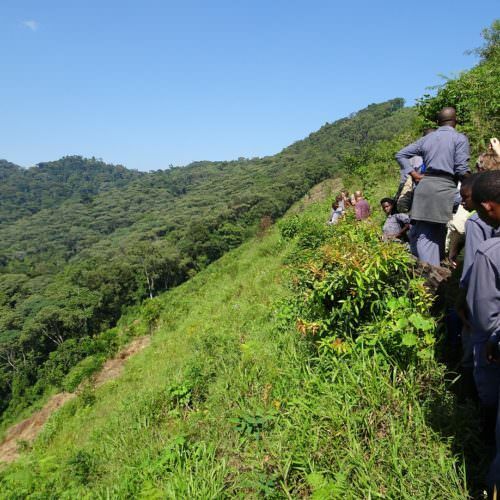 This elevated position gives great views across Bwindi Impenetrable National Park. 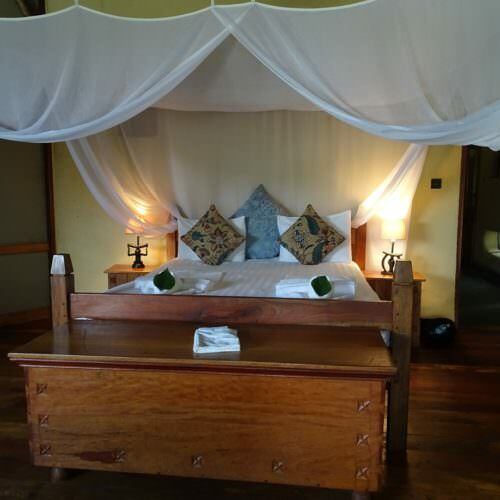 There are currently 6 individual twin or double cottages and one family cottage, each with en suite facilities. It is also possible to pay extra to stay at Mahogany Springs. 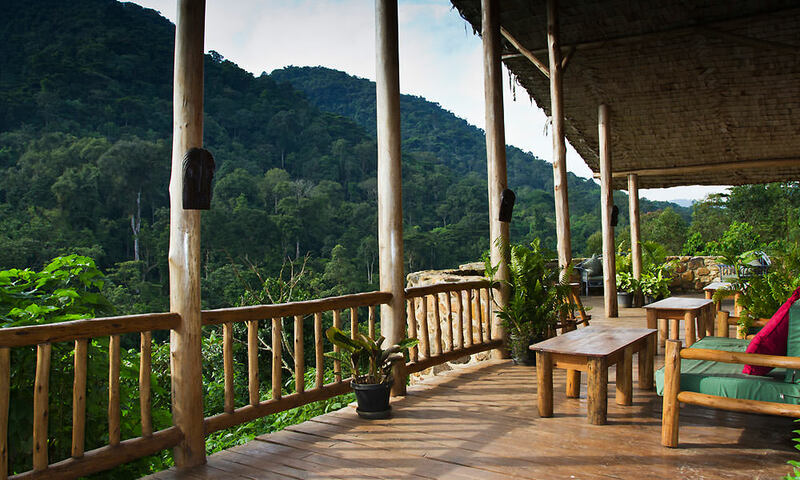 This lodge has seven chalets each with two double beds, en-suite bathroom and a private terrace with panoramic views of the forest and surrounding land. 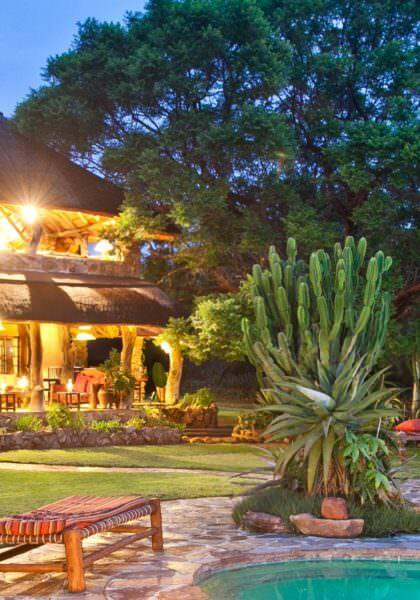 The main building has a craft shop, bar, restaurant and a large veranda. Additional dates may be scheduled for groups of four or more, or by paying a small group supplement if you are two or three people. 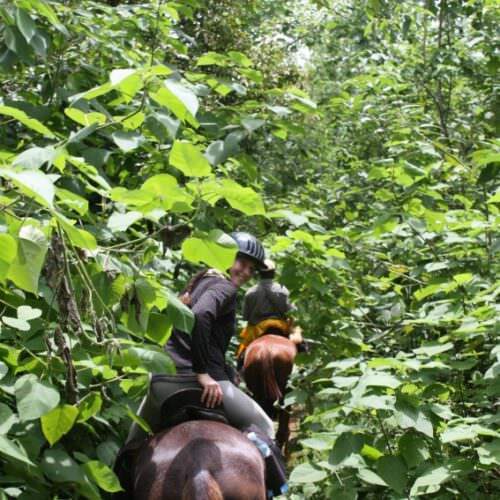 The gorilla tracking extension can be added onto any ride date. 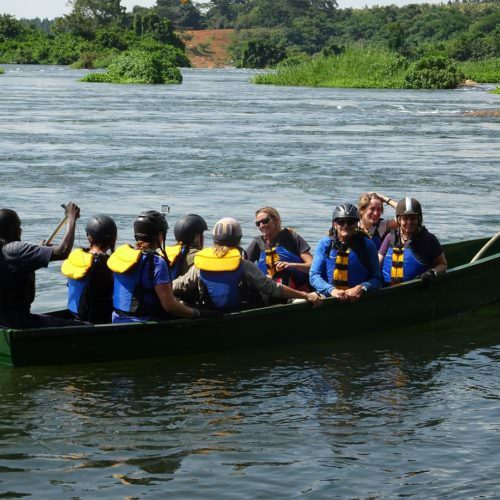 NILE EXPLORER INCLUDES Accommodation; all meals (except not in Entebbe); drinks with meals during the ride; riding; guides; concession fees and road transfers from and back to Entebbe. 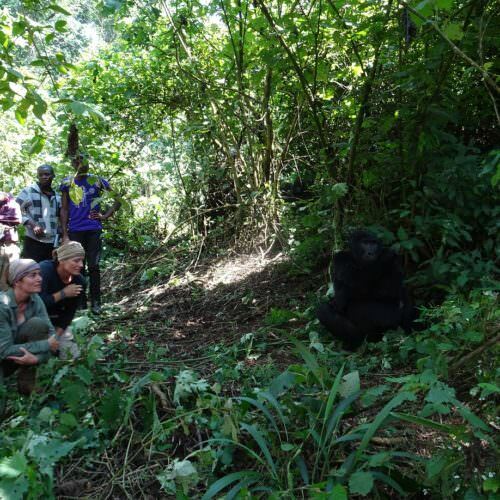 MOUNTAIN GORILLAS EXTENSION COSTS £1,732.46 per person sharing and includes one night in Entebbe (B&B); two nights accommodation at Bwindi; all meals at Bwindi; guides and concession fees; Gorilla Permit; road and air transfers. 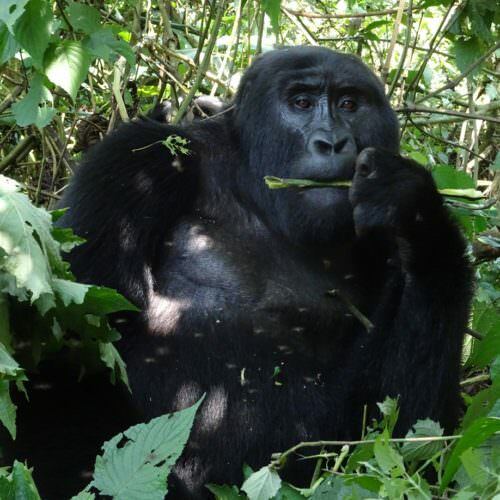 SMALL GROUP SUPPLEMENTS apply if there are less than 3 people confirmed onto a ride or gorilla tracking. 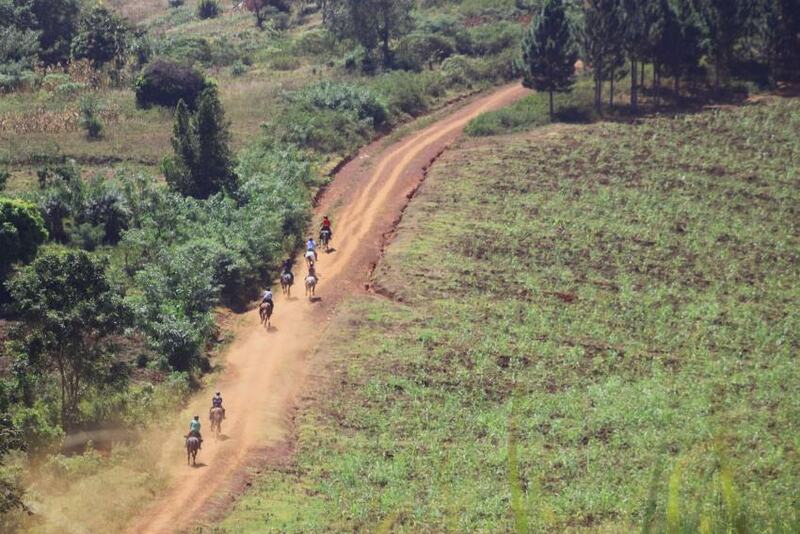 SINGLE SUPPLEMENT If you are willing to share then the single supplement on the 7 night riding safari is reduced by 50%. If we find you a sharer then there is no single supplement. 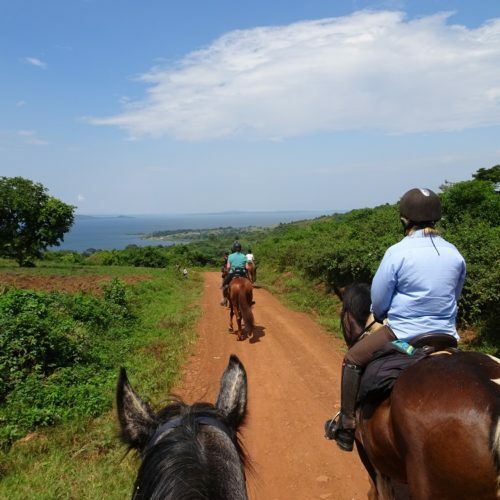 PAYABLE LOCALLY Lunch or dinner in Entebbe; bar bills; non-riding activities such as white water rafting; tips to guides; laundry; other personal expenses. 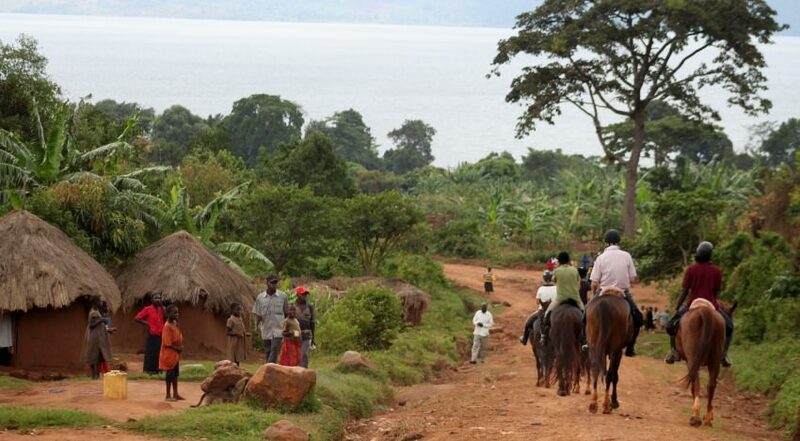 TRANSFERS from Entebbe to the ride by road are included. 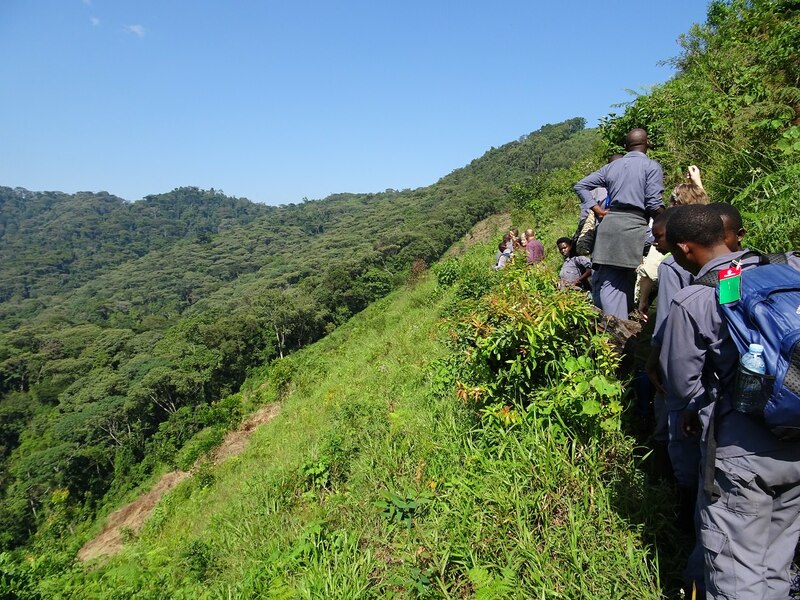 The extension to visit the Mountain Gorillas includes flights from Entebbe to and from Bwindi National Park and all road transfers. 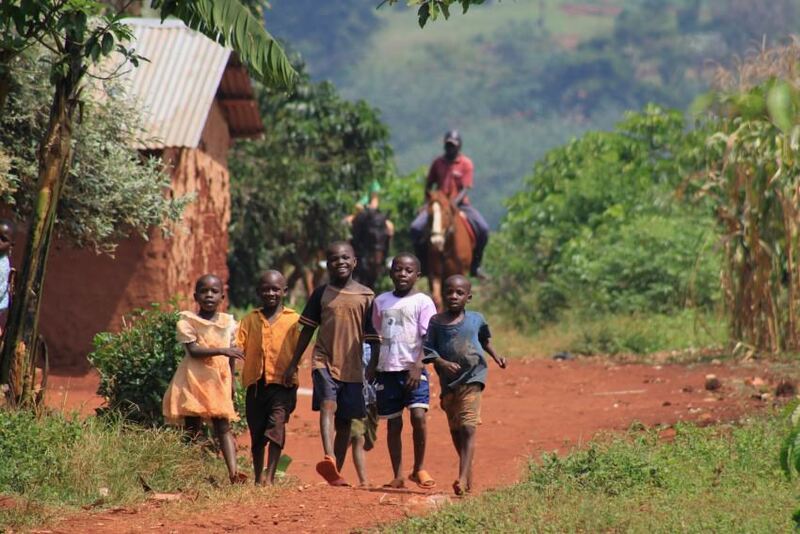 Located in the eastern region of Uganda. 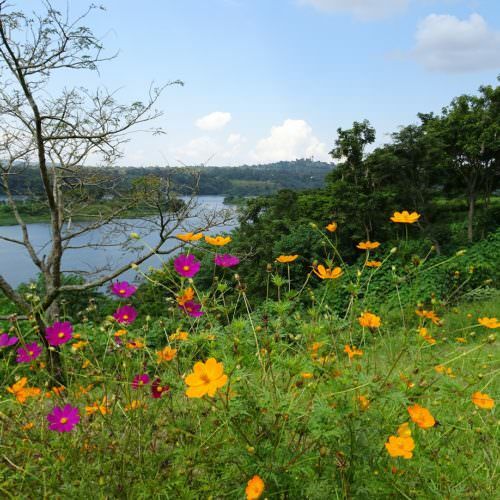 Uganda is renowned for its temperate weather. Temperatures range between 16°C (at night) to 26°C (during the day) for the majority of the year (April to November). 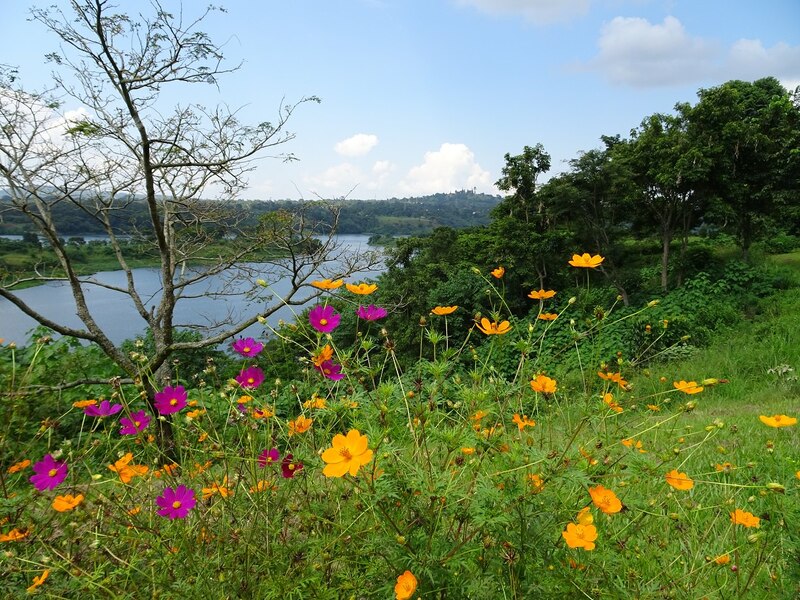 During the hotter months (December - March) temperatures can reach in excess of 30°C. 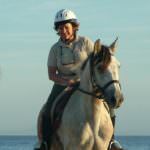 The riding safaris do not operate in January or February. 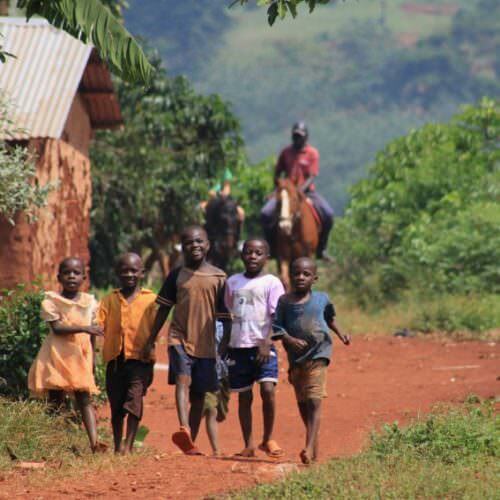 There are two rainy seasons, with the short rains from late October to December, and the long rains from March to June. 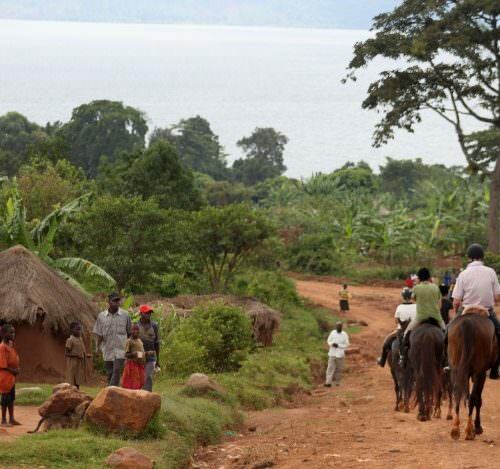 It still rains in the dry season and can be heavy, it just is not as regular as in the wet season. 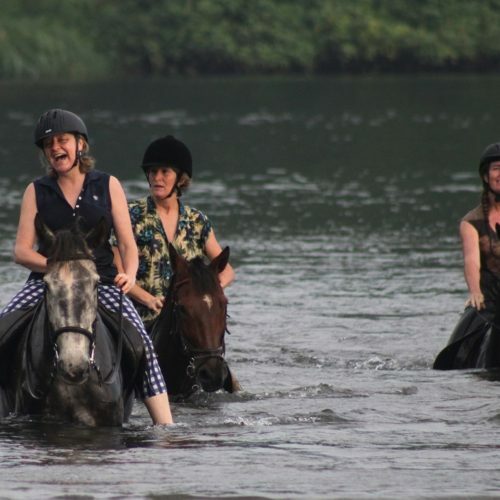 The horses are acclimatised to damp conditions, and to riders wearing all encompassing rain ponchos, so safaris are rarely postponed due to rain. 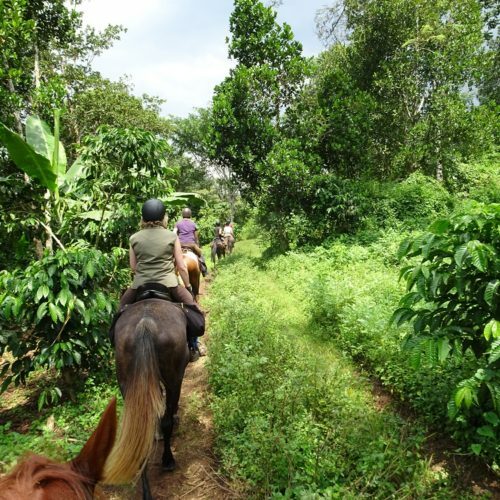 Amazing countryside and long gallops through the sugar plantations. 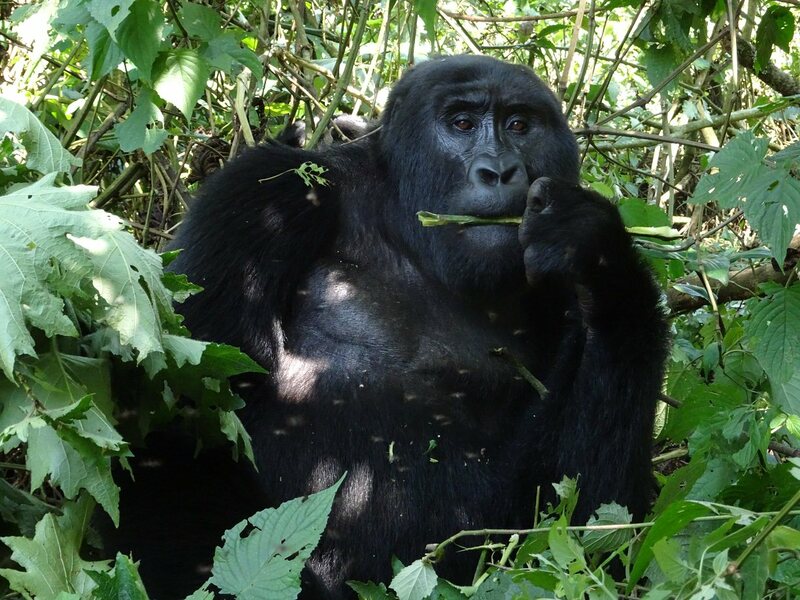 Gorilla tracking ticked my 30 year wish list. 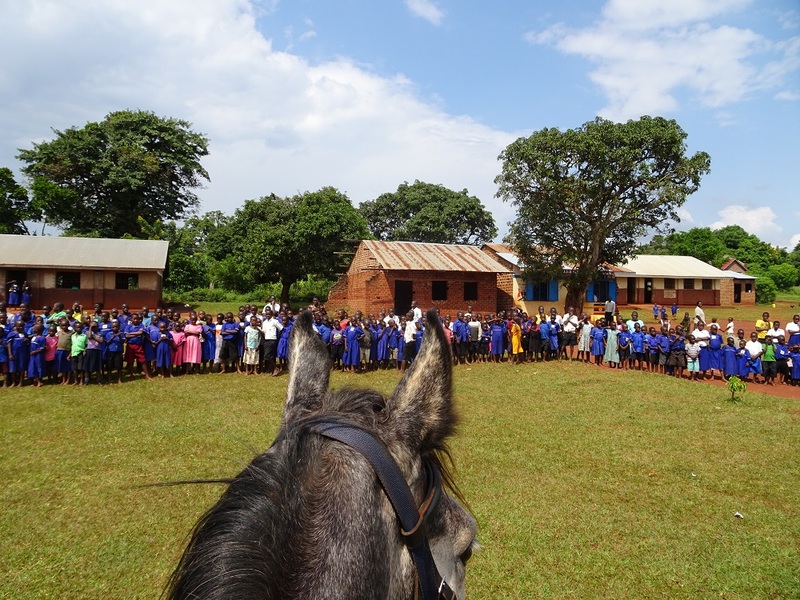 I accompanied the first In The Saddle group to Uganda in June 2016. This trip gets 10 out of 10 and I found it very difficult to make any suggestions for improvement - except perhaps to say that I ate too much but who is to blame for that! 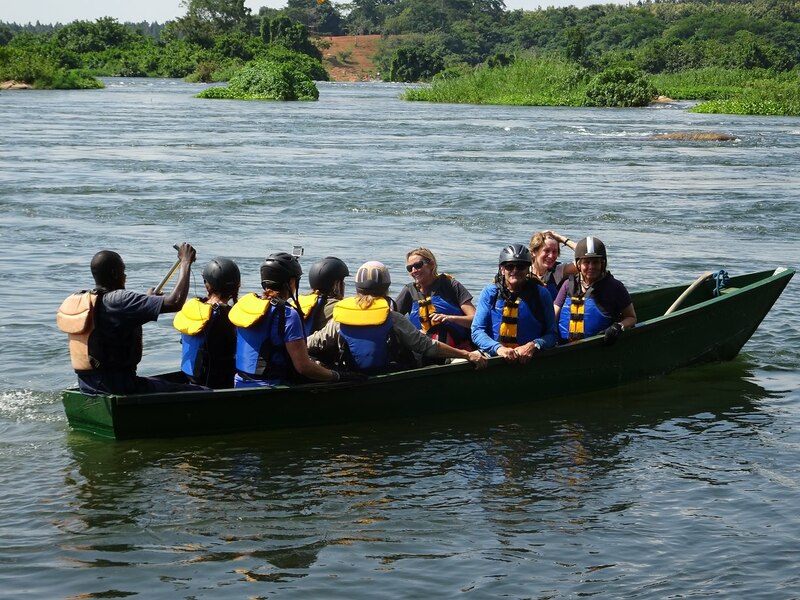 This trip was a wonderful experience of real Africa as well as seeing that icon of Africa - the Nile and visiting the endangered mountain gorilla must be on most people's bucket list. Use your spare baggage limit and fill your bags with children's books (second hand is fine). 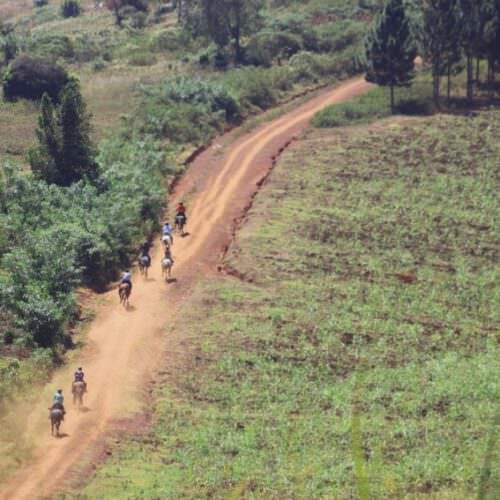 They are almost impossible to get locally and so you will be leaving something which will be of immense value to the hundreds of school children you see during the ride.